As a fixture on Main Street since 1891, the Church has always functioned as a community hub. We have many community groups and programs using our facilities at the moment. We are grateful that others find our sacred space so worthwhile in their gatherings. Call the Church office 403.678.5354 for further information, or contact the program leaders listed below. The “High Strung” Ukulele group uses Gordon Hall and the Sanctuary for their practices each Thursday from fall to spring. This group has seen rapid growth over the past three years, and now performs at a number of community venues. Monday to Wednesday Alberta Health operate a variety of day programs for seniors. Wednesday, Thursday and Saturday evenings there are AA meetings. 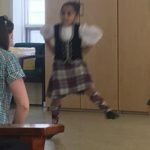 Offering traditional highland dance lessons in the Bow Valley for beginner and competitive classes ages 3 yrs to Adult. The Canmore Young Adult Network was established following a study conducted by Ralph Connor’s Community Networker in the summer of 2017. For more information, visit our Facebook Page or our website. We are proud of the research work done by Caylee LaBranche, and pleased to host this group. 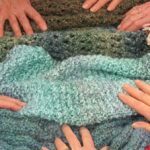 Over 1000 Prayer Shawls have been given to those in need and they are such a huge success for those receiving them. What a gift and a fellowship for those creating! Typically, gatherings are on the third Friday of the month at 1:00 PM in Gordon Hall. Bring wool and needles. 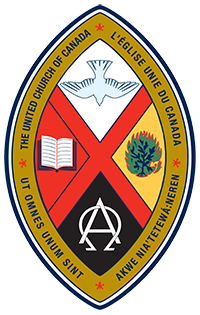 Call Jeanette at 403.678.2030 for further information about this community/ecumenical group. 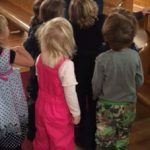 In the summer of 2017, a Bow Valley Pride Youth Group was founded, and met regularly at Ralph Connor Memorial United Church. 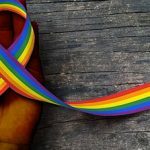 This group provided friendly, safe space for LGBTQ2 teens and allies to meet every second week. This group is presently on hiatus, but please check Twitter @BVY_Pride or Facebook BowValleyPride to watch for re-launch plans if and when they arise. 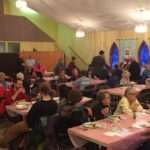 Ralph Connor is pleased to be a partner in serving the Monday night communal meals at St. Michael’s Anglican Church. Anyone and everyone wishing to have a great meal with great company, come to St. Mike’s between 5:00 and 7:00 PM on Mondays! 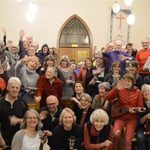 Local choirs & singing groups, hold rehearsals in our sanctuary, musicians make recordings all taking advantage of the tremendous acoustics of this historic building. The Church facilities are available for rental for your group. If you are interested in renting the Sanctuary, Hall or Upstairs for your event or meeting take a look at our Building Rental Page.